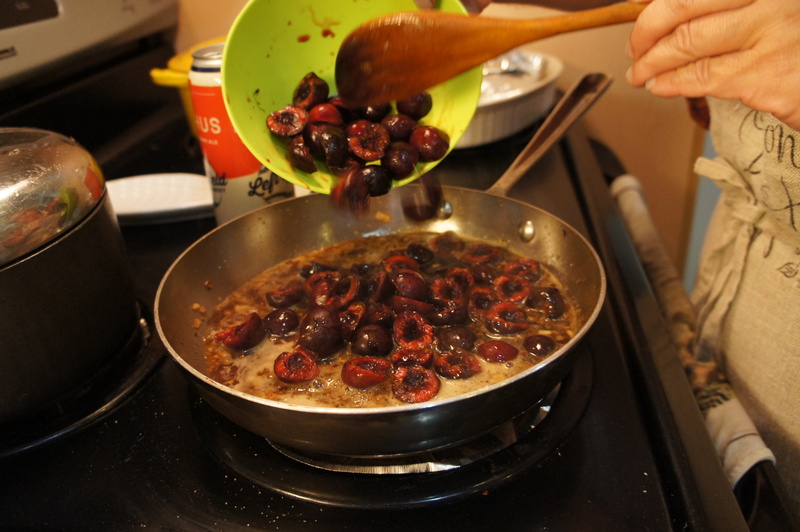 The first time I have discovered the possibility to cook duck with cherry was in France. My brother Jean Michel had offered me a cooking book for my 20th anniversary: Larousse Traditional French Cooking by Curnonsky. Maurice Edmond Sailland was an interesting man. Better known by his pen-name Curnonsky, and dubbed the Prince of Gastronomy, he was the most celebrated writer on gastronomy in France in the 20th century. He was also a prolific fictional author (over 65 books and enormous numbers of newspaper columns) , a bon-vivant, a raconteur and a gourmand (he wrote several cookbooks). He is often considered the inventor of gastronomic motor-tourism as popularized by Michelin, though he himself could not drive. And above all, keep it simple! I have read his book like a captivating novel, I have prepared many of his recipes…and I have learnt so much from the 1, 5000 recipes he has collected in his cookbook. Thanks Jean Michel for this gift! Duck and cherry, I have tried this combination many times – or something similar to this recipe – using the whole duck or the ]breasts with red Burgundy wine instead of beer. The first time, it was specifically for my grandfather Paul. Both my grandparents Adele and Paul had a farm and a luxuriant orchard and garden. I have spent so many summers with them, enjoying cooking and making jam and preserving with my grandmother Adele, harvesting the products of their farm and orchard with my grandfather Paul. 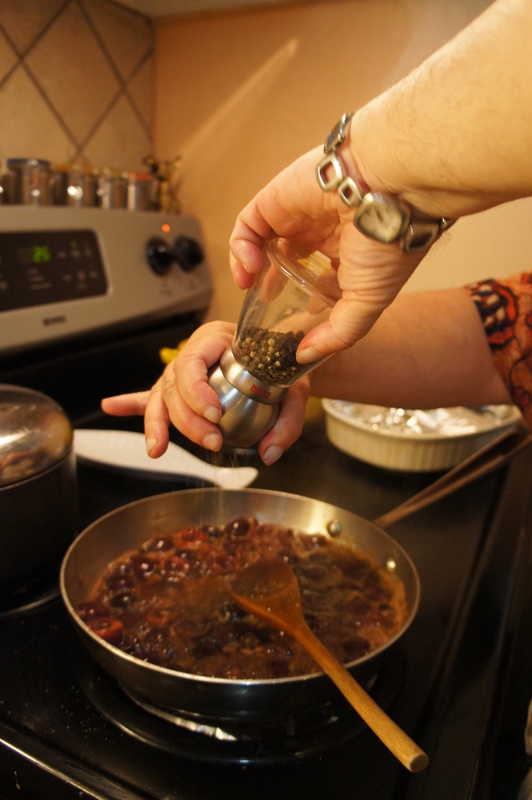 It was a way to honor him … a fantastic roasted duck with his sour cherries. A little of nostalgia …. but also great memories! I think it is time to cook, this is my recipe. The recipe for this classic French dish is quite standard. You can use red wine or Porto as well as Stout, but I wanted something different, lighter and well balance. 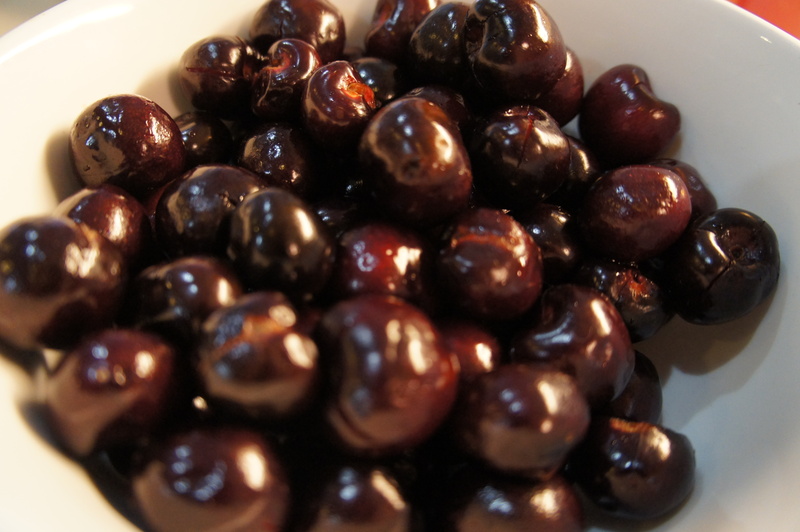 The red wine, like the stout, can be overpowering (thick and heavy sometime – more for winter cooking), and as a result, the cherries would play only a second role. 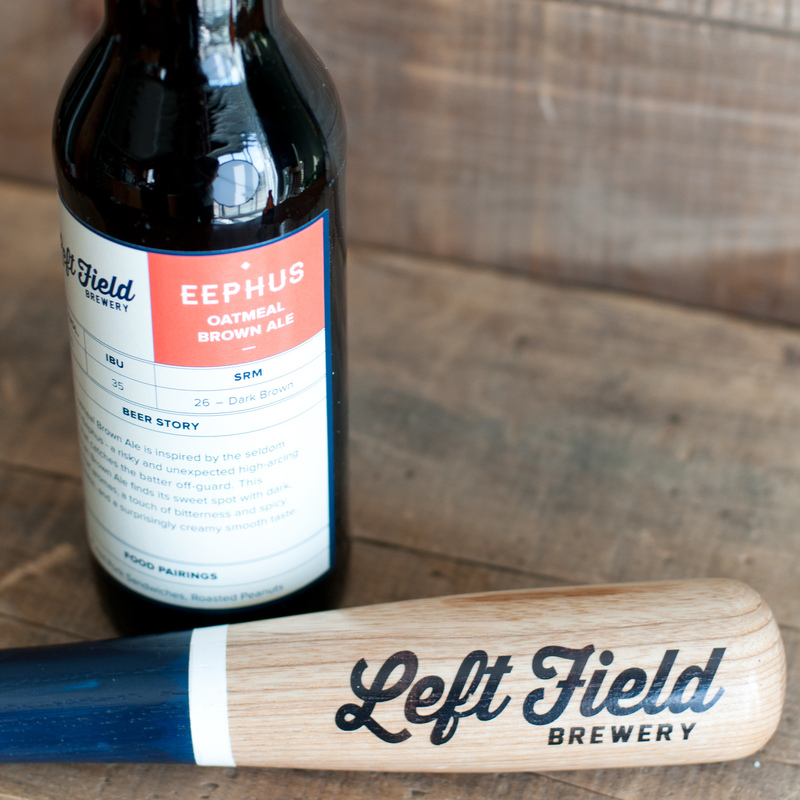 As a result, for this recipe, I have decided to use a brown Ale, more specifically the Oatmeal Brown Ale Eephus, from Left Field Brewery. Left Field Brewery is my neighbour here in Toronto East. One among the vibrant local craft breweries in Ontario! I love to go there and order a sampling of their beers. I bring some food (like cherry), a book about pairing beer with cheese and/or food. I let my imagination wander, and I decide if one of their beers might be an interesting addition to my food and cooking research and development adventure. Eephus Oatmeal Brown Ale (5.5% alcohol) is malty and nutty, well balanced but on the sweet side, with a touch of bitterness. The perfect pairing for the dark cherry! The sauce is smooth with a mild but intricate rich flavor and a touch of bitterness. It balances perfectly the aroma of the dark cherry and work perfectly with duck. A must to try! Preheat oven to 375 F degree. 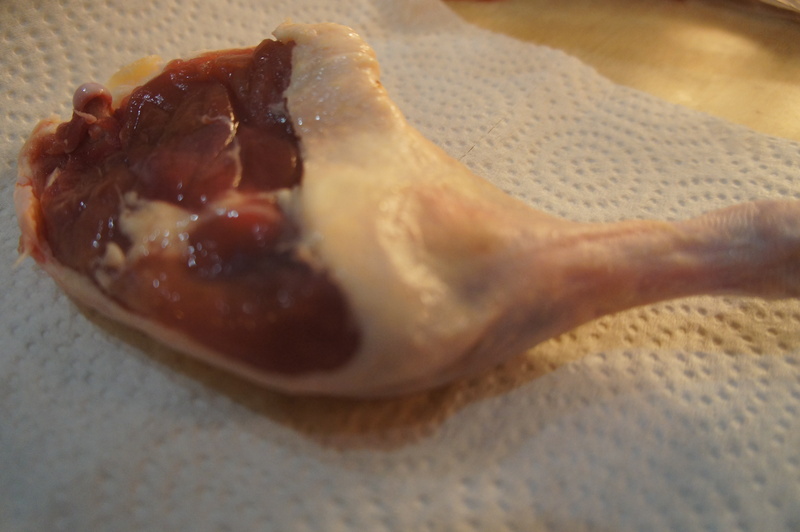 Pat the skin of the duck leg with a kitchen towel. Prick the skin of the leg all over (taking care not to pierce the meat). Season duck legs with salt and pepper. 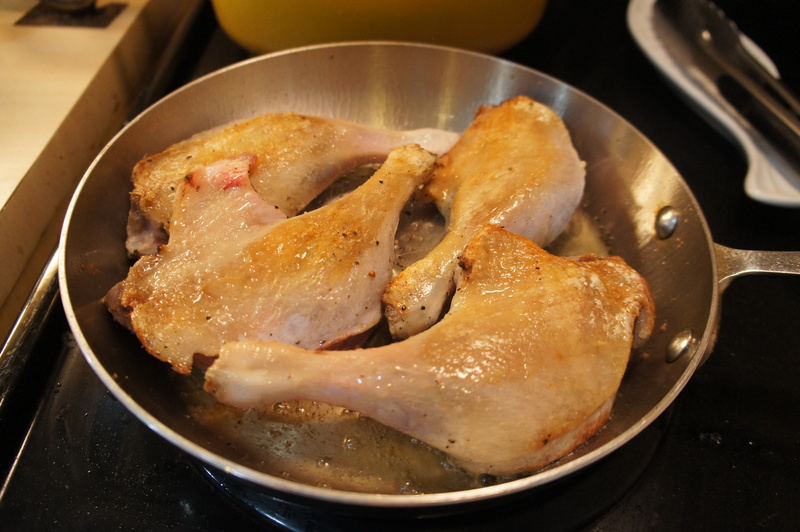 Place the duck legs skin side down in a cold skillet large enough to accommodate them comfortably. 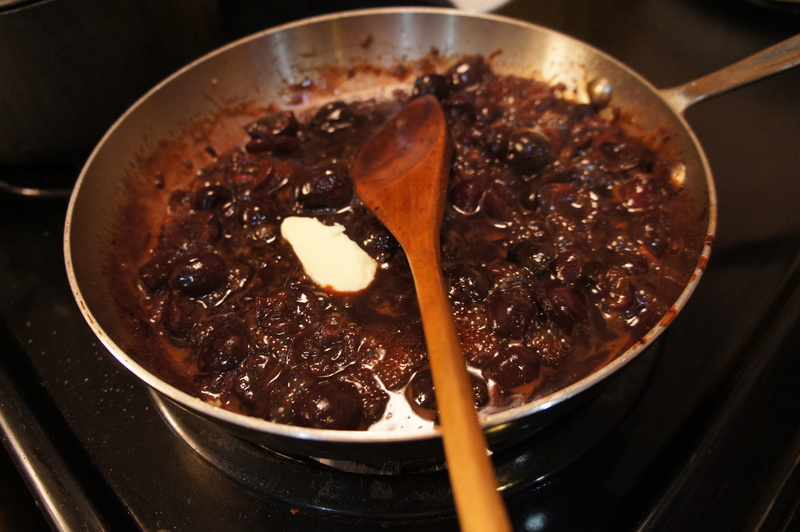 Turn heat to medium, and cook until skin is scrip and mahogany colored (between 6 to 10 minutes). Turn legs over and cook until browned on the other side, about 2 to 4 minutes. 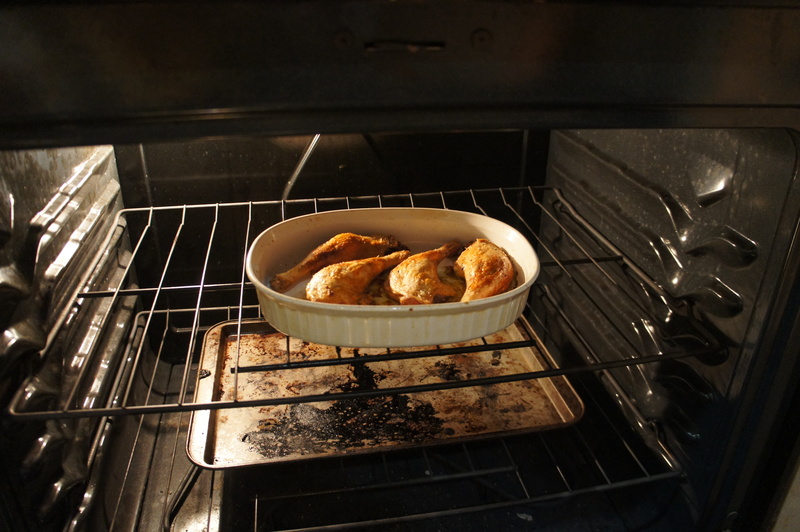 Transfer to a wire rack on a roasting tray (or a baking dish) and cook in the middle of the oven for 1 ½ to 2 hours for optimal outcome, i.e. until legs are very tender. Transfer legs to a platter and keep warm (cover with foil). 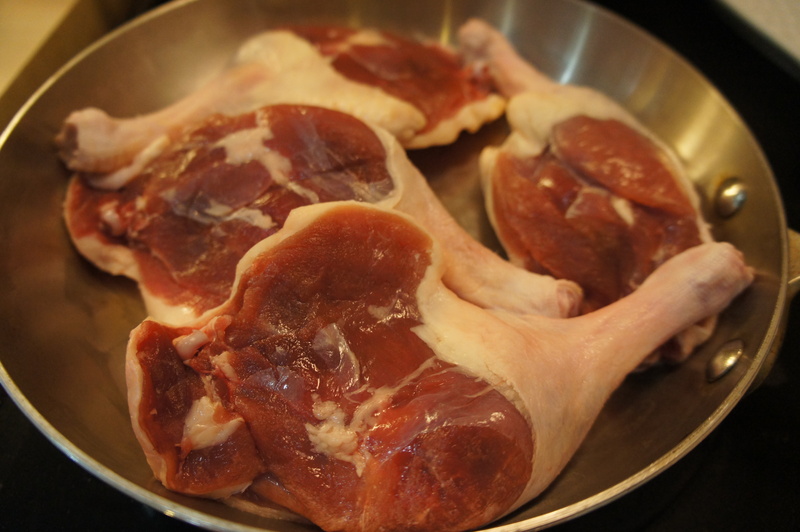 One thing you need to keep in mind, it is almost impossible to overcook duck legs. Don’t be afraid to let them for more than 1 hour in the oven. The first time I did this recipe, I worried so much and I have removed the duck legs after 50 minutes, mostly because the duck legs have exceeded the optimal cooking temperature of 180 F degree. Yes, for sure it was cooked but it was not tender. I put back in the over the second leg for an extra 40 minutes, and it was perfectly tender after spending extra time in the oven. Then, these are my two advices: keep in mind the size of the leg (small, medium or large) and start to check if the duck is cooked and tender (using a knife) after 1 hour in the oven … and stay Zen! You can reduce the oven to 200 F degree and keep the duck in a warm environment until ready to serve for up to 1 hour. To crisp the skin back up (it can become soft in the oven), preheat the broiler and place the duck under the broiler for a few minutes, keeping a very close eye to make sure the duck doesn’t burn. 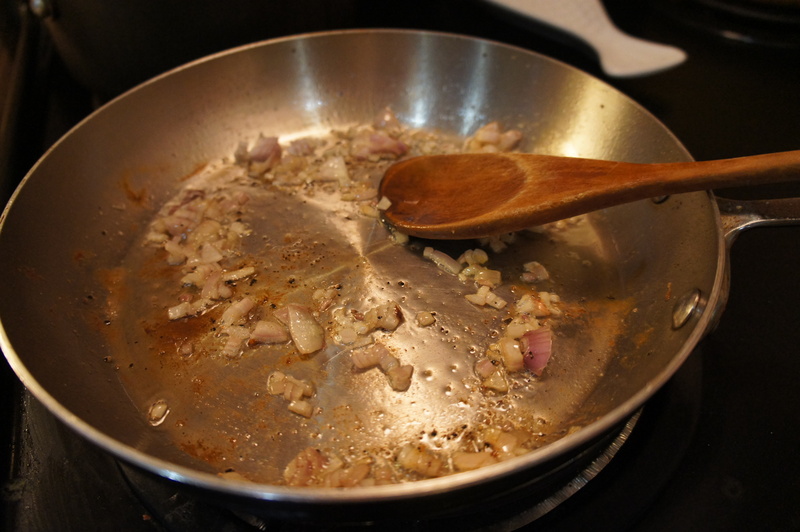 Pour out the drippings from the skillet into a storage container and reserve it for later use. 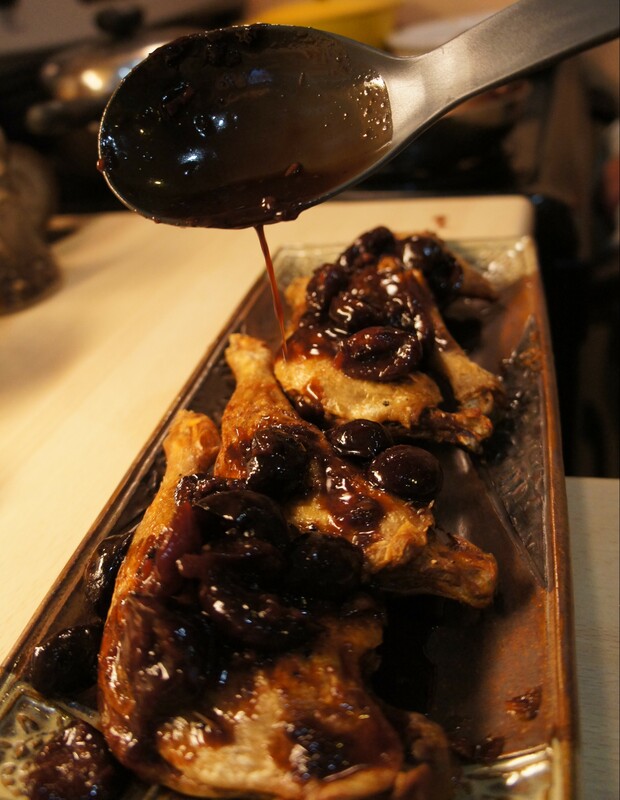 While the duck is almost cooked, make the cherry sauce. 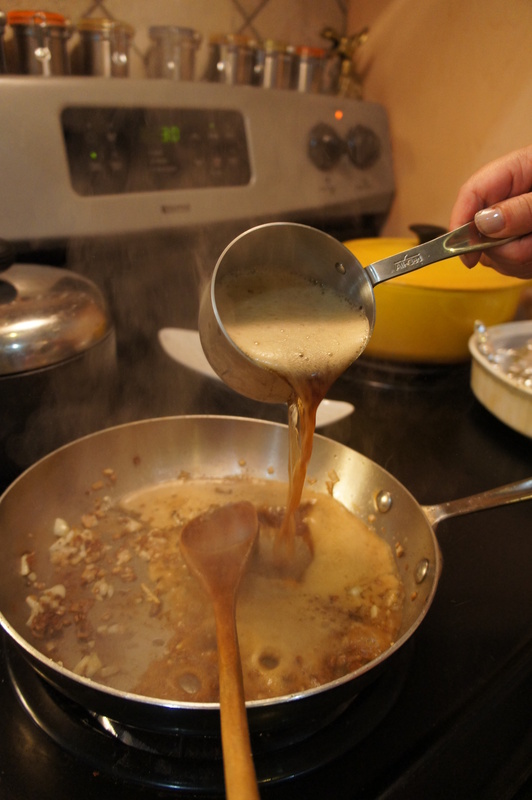 In the skillet used to brown the duck legs over medium high heat add 2 tablespoons duck fat from the reserved dripping. Add the shallots and cook until soft and lightly browned, about 5 minutes. Stir in the garlic and cook until fragrant. 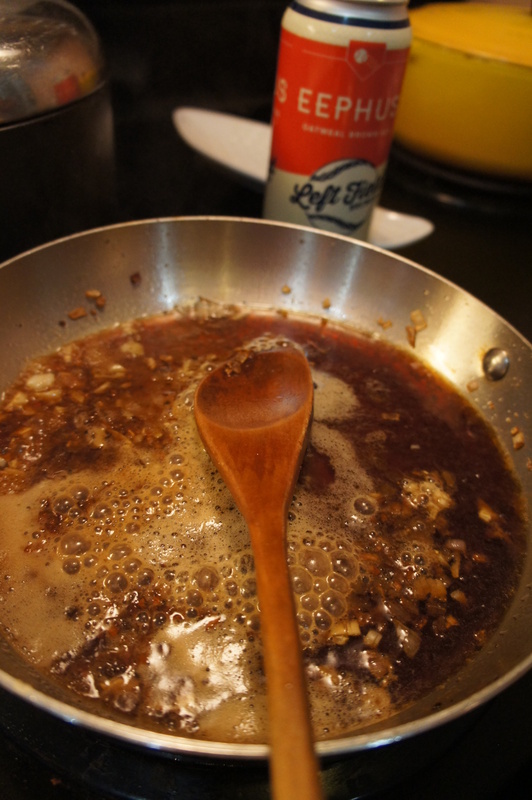 Add brown ale, pitted cherries cut in half, soy sauce, maple syrup, Tabasco sauce and black pepper. Deglaze the pan by scraping the brown bits from the bottom of the pan (this is going to give an extra yummy taste to the sauce). 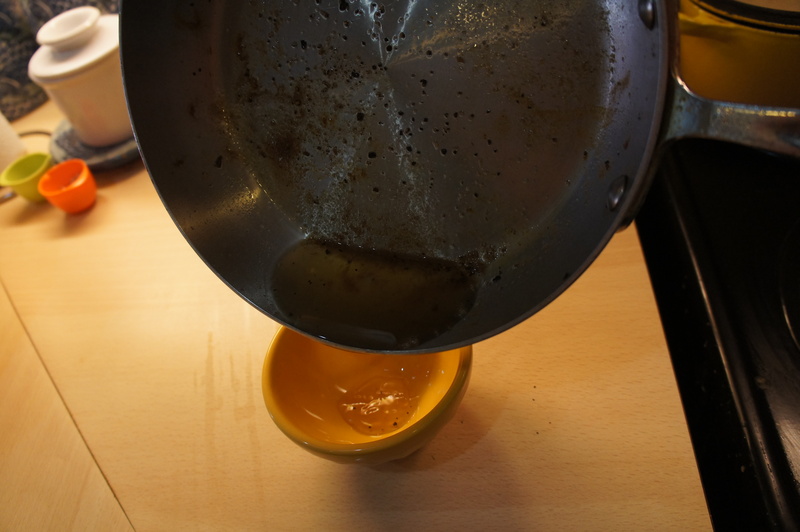 Allow to boil, stirring frequently, until thickened, about 8 minutes. Swirl in the butter and rectify seasoning if needed. 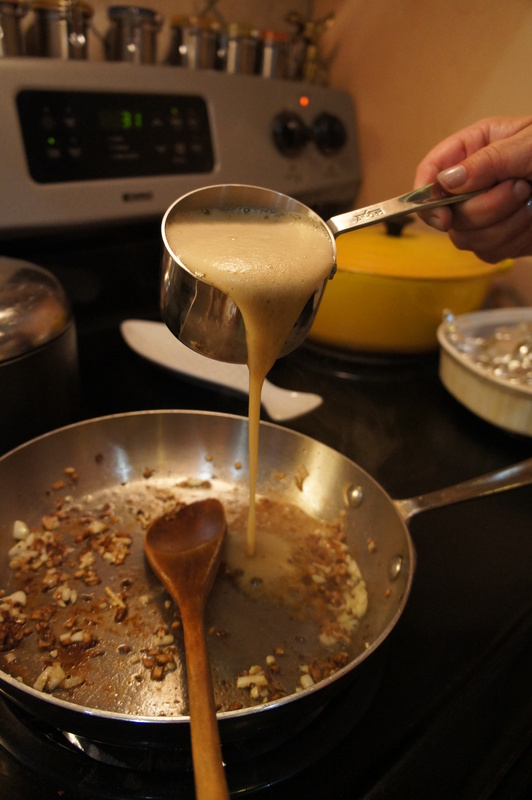 Spoon the sauce over the duck just prior to serving, or serve alongside. The perfect side dish: potatoes as well as French green beans. Duck is not only a richly flavored meat well-suited to strong accompaniments like fruit and potent spices, it is also nutritious. Duck is rich in dietary protein (11 grams per 100 grams), which helps boost satiety. Despite the fact it is a significant source of saturated fat, duck is also a good source of monounsaturated fat (almost 50% of the total duck fat contain) – the same fat found in unrefined olive oil, avocados and pastured lard that is renowned for its ability to increase HDL (good cholesterol) and reduce the risk of heart disease. In fact, duck fat is situated between butter and olive oil when we compared their fat composition. This vitamin plays a vital role in the metabolism of fats in the body. It has also been established to have a cholesterol-lowering effect. Niacin helps to reduce low density lipoprotein (LDL) cholesterol which when oxidized forms plaque in the blood vessels and increase the risk of heart disease. Good choice of meat if you want to promote your cardiovascular health. Niacin also supports genetic processes. Components of cellular genetic material require niacin for their production. Inadequate niacin in the diet can cause DNA damage. Niacin also helps to stabilize blood sugar and regulates the metabolism of insulin. This makes duck a good dietary item for diabetics. It is also a good source of riboflavin (12% daily requirement per 100 grams serving), selenium (43%) and iron (13%).